General Motors announced yesterday that they’ll be making enhancements on all Chevy Volts currently on the road in an effort to allay fears that Volt batteries will catch on fire after severe crashes. The National Highway Traffic Safety Administration (NHTSA) reported in the fall after a series of crash tests that two Chevy Volt batteries caught on fire due to coolant leaks after sitting for at least a week after the impact. This news set off a flurry of media reports that Volts — and other electric vehicles for that matter — were unsafe. Now GM is recalling all Volts on the road and making adjustments to their assembly line that NHTSA says have been sufficient enough to prevent fires. 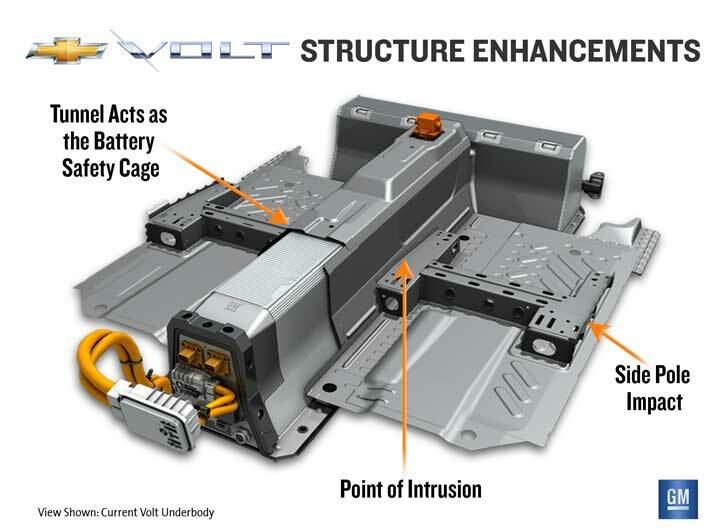 NHTSA has tested the fix that GM is proposing and so far has reported no intrusions into the battery, no coolant leaks and no fires on their recent crash tests. “As a precaution, NHTSA has monitored the crashed vehicle since the test and will continue to do so for one more week,” NHTSA said in a statement. “However, the preliminary results of the crash test indicate the remedy proposed by General Motors today should address the issue.” The fix includes adding reinforced steel around the battery casing, installing a battery-coolant sensor to monitor coolant levels and adding a tamper-resistant bracket to the top of the battery coolant reservoir to prevent overfilling. GM says that the fires that occurred during the crash tests could have been prevented by simply draining the coolant from the battery immediately after the crash and GM will send an engineer to do so in any real world crash. GM reported that Volt owners recorded about 20 million miles in the first 11 months of 2011 without an incident similar to that in the NHTSA crash tests. 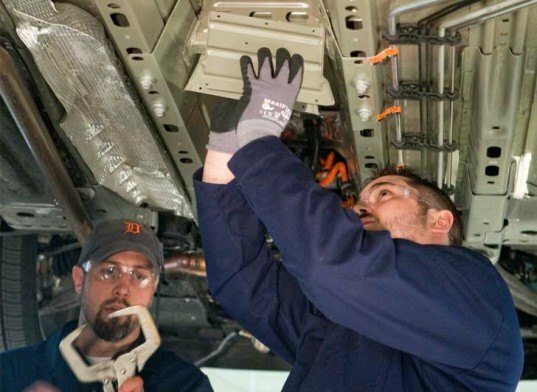 Despite GM and the government’s assurance that there is no immediate danger to Volt drivers, about 250 Volt owners asked GM for a trade in on their Volt or a loaner car until the fix was ready. It has been a month an a half since the November 25th report from NHTSA of the battery coolant fires and the fix won’t be ready in dealerships until February. That’s a pretty sharp contrast to the recent Fisker Karma recall where the fix was announced and almost completely fixed in under two weeks. Although Fisker has less than 300 vehicles to deal with and the Volt has 12,000, it seems they could have been quicker to respond to this fiery issue. General Motors announced yesterday that they'll be making enhancements on all Chevy Volts currently on the road in an effort to allay fears that Volt batteries will catch on fire after severe crashes. The National Highway Traffic Safety Administration (NHTSA) reported in the fall after a series of crash tests that two Chevy Volt batteries caught on fire due to coolant leaks after sitting for at least a week after the impact. This news set off a flurry of media reports that Volts -- and other electric vehicles for that matter -- were unsafe. Now GM is recalling all Volts on the road and making adjustments to their assembly line that NHTSA says have been sufficient enough to prevent fires.